Am I Eligible for Compensation if my Train is delayed? As a traveller on Britain’s rail networks, it is sad to say but you are probably used to regular delays. If you’re planning on using the rail networks in the UK, you can expect that there will be delays at some point during your travels. This is an unfortunate reality. While the rail network is one of the most expensive in the Western world, it is also less reliable than some other countries in Europe, like Switzerland and France. 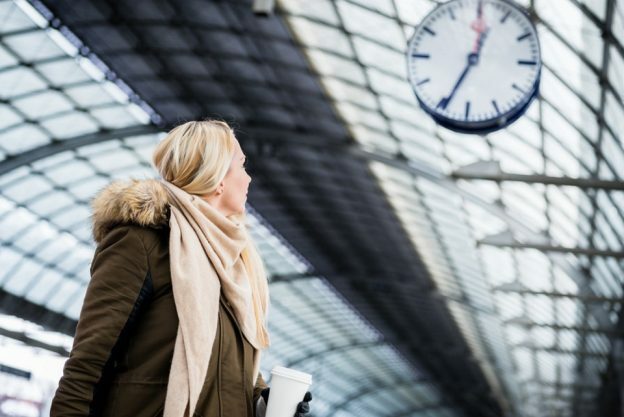 Delays are a part of many commuters’ and travellers’ lives, but what some don’t know is whether they are eligible for compensation if they are delayed. The government has put in place legislation that guarantees a rail traveller compensation in certain conditions. Alongside this the “Delay Repay” scheme that many rail operators are implementing, going further than the statutory minimums for payments and times. Each rail service provider has its own policy regarding compensation and refunds, so when you’re making your enquiries, check the individual policy of the rail provider. When a train is delayed and you still use it, you may be eligible for compensation. If you haven’t used the service, you may be entitled to a refund but not compensation. Single Ticket: 50% of the price paid for your ticket. Return Where Both Legs are Delayed: 50% of the price paid for your ticket. Return Ticket with Delay on Either Outbound or Inbound Journey: 50% of the price paid for the delayed leg of the journey. Season Ticket – This varies and the Passenger Charter of the relevant rail service provider should be consulted. Compensation is paid on renewal. This applies to any journey of 30 minutes plus, and where provided, covers all train ticket types, including Season tickets. Delay Repay entitles passengers to compensation even if the rail service provider is not responsible for the delay. This includes the severe weather, police and emergency services use of the line and accidents. 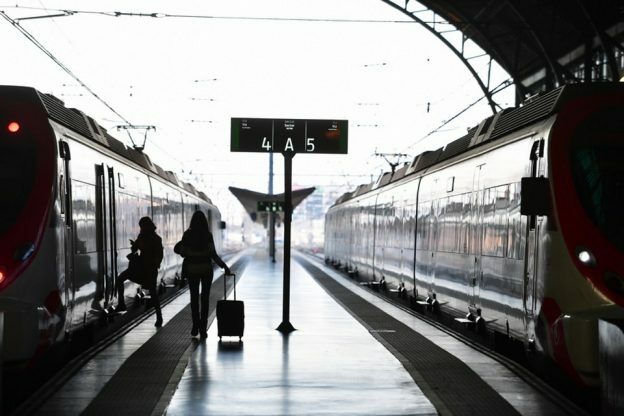 The amount of compensation you are eligible changes according to which rail company you are using’s policies, and is generally less than 50% the price of the ticket, but it is well worth looking for. Passengers need to make their own, individual claims in accordance with the conditions each rail service provider sets. These can change between services, so look on the relevant website for the exact conditions. While only about half of the rail franchises in England offer Delay repay (look on the National Rail website for a complete list), every new franchise that takes over the running of a rail line must offer Delay Repay. You are not eligible for compensation if the reason for the delay was beyond the reasonable control of the rail service provider. These conditions are set out in the Conditions of Travel agreement with National Rail and the Passenger Charter of the individual rail company. All Passenger Charters are approved by the governing body so they meet minimum standards and all cover the basic compensation rights of the traveller. The conditions for a non-compensable delay include: severe weather conditions, accidents, security alerts and situations, crime and the needs of the emergency services on the line. These are all reasonable conditions in which it could not be expected that the rail company in question could anticipate or prepare for, and therefore cannot be compensated. For more detail as to what you can be compensated for and what you won’t be compensated for, consult the Passenger Charter of the rail service providing the train you are travelling on. When the service you receive is poor and causes harm, delay or mental anguish, you may be entitled to a level of compensation. Consult the Passenger Charter of the relevant rail service provider for more conditions. When you buy a rail ticket, you are entering into a legal contract that binds you and the rail provider into a certain standard of behaviour and responsibility. If you are in breach of these conditions when an accident or other compensatable incident were to occur, you might not be eligible for compensation. This entry was posted in Rail Passenger Compensation on February 3, 2018 by azrfufhg-admin. Am I Eligible for Compensation if I’m Injured on the Train? Injuries are much less common on the trains and train lines than they used to be as stricter health and safety legislation and minimum standards of safety have decreased the number of train accidents, injuries and deaths on the rail network substantially. The UK now ranks second in Europe for the number of accidents on the network, after Ireland. The picture of rail safety in the UK looks much better, but accidents and injuries do still happen on the rail network. Most injuries on the rail network happen when alighting a train or on an escalator, and are usually slips, trips and falls. To establish whether you are eligible for compensation, you need to establish who was at fault for your injury. If you tripped over your shoelaces, that’s your fault and there would be no compensation from the rail service provider, even if you were seriously injured. If your shoelace were to get caught in an escalator and that escalator did not stop, causing you injury, then there could be a case for compensation. You would need to consult a personal injury solicitor for advice on this matter. If a large piece of metal fell off a train and hit you on the head, you would almost certainly be eligible for compensation as it was not your fault, you could not have reasonably avoided it, and the rail service provider was clearly operating a faulty and dangerous piece of machinery. For minor injuries, the rail network might pay out a small sum and that would be that. For a serious injury it is advised you instruct a personal injury solicitor to take up the case. With any injury on the rail network, you should report it to the service provider who is responsible for that part of the network, regardless of whether it was your fault or not. This is both to cover your own back and to provide a paper trail your insurer can follow to establish the correct amount of compensation you are entitled to under their scheme. When you think that an injury you have suffered is the responsibility of the rail network or its employees, you should contact them immediately with all the relevant details. When applying for injury compensation, you should do this in consultation with your insurer and, where necessary, a solicitor. All or none of the above can be relevant in the train accident claim. The rail network is replete with cameras, staff and other passengers, there should be enough corroborating evidence to back up or counter your account of the injury. If you have been injured in a train accident, applied for compensation and been rebuffed, you can take matters further by instructing a personal injury solicitor to instigate legal proceedings against the rail service provider in question. You will be responsible for most or all of the costs of this proceeding if it is found in court that you were responsible, not the rail network. Should the court uphold your compensation claim, you should be entitled to your costs being paid and a level of compensation decided in court. For injuries, the amounts payable can vary but range up to unlimited compensation. If you threaten legal action, the rail service provider might decide to settle out of court, in which they will offer you a sum of money not to drag them through the legal system. You might have to sign a non-disclosure agreement as well. There are a large number of legal precedents when it comes to injury on the rail network, so finding a prior judgement that supports your claim or rejects it based on legal reasoning is possible through the courts records system. A personal injury solicitor can guide you as to whether your claim is eligible or not. Certainly a solicitor isn’t a necessity but they will know all of the ins and outs required to make a strong case for compensation. None of the above advice and information is legal advice. For proper legal advice you should contact a solicitor who will help you with your injury claim. This entry was posted in Rail Passenger Compensation on January 28, 2018 by azrfufhg-admin.